MFG Tray Launches X-DTect™ – A revolutionary x-ray detectable material. Initially developed for MFG Tray composite plastic starch trays, X-DTect™ is MFG Tray’s newest composite material offering. 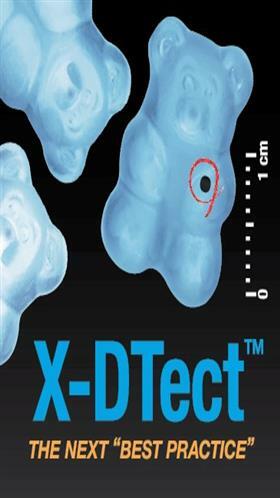 X-DTect™ is a patent pending composite material made from high-strength, glass-reinforced composites specifically formulated for x-ray detection. With this new innovative material, production line detection can be achieved down to 1 mm3. “This revolutionary X-DTect™ composite material will allow companies to better protect their customers and their brand reputation with frontline prevention. It will also change the way companies think about best practices,” said Larry Acker, pharmaceutical product line manager at MFG Tray. X-ray detection down to 1 mm3. Available in mogul starch tray, ventilated drying, gum, and holding trays.